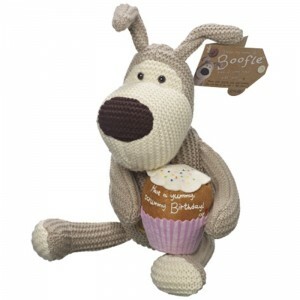 Boofle as we know just loves to bake, so this time he comes with a special Birthday Cupcake! He holds the yummy little treat between his paws, and written his message in icing so you know it's yours! So if he's for a friend, a relative or just for you, a yummy crummy Boofle will make anyone's Birthday wish come true!